Product #15472 | SKU 72NDK3 | 0.0 (no ratings yet) Thanks for your rating! 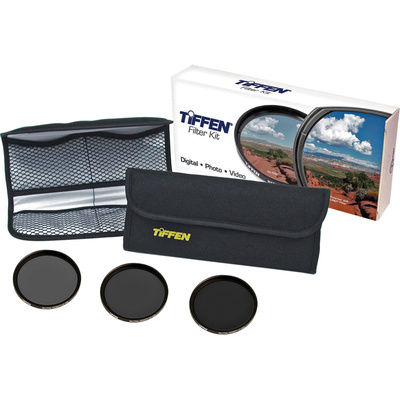 The Tiffen 72mm Digital Neutral Density Filter Kit is a complete set of filters to help you get better shots in bright light as well as assisting you with some special effect images. Neutral Density filters have several uses and offer the possibility to achieve otherwise unachievable results. They enable the shooter to adjust exposure without affecting colour balance. ND filters appear gray and reduce the amount of light reaching the film.